In the age of cloud with applications, data and users anywhere in the world, securing a business’s digital assets businesses is the single most important security issue. Working with Okta the global leader in Identity and Access Management Zerotek has created the complete multi-tenant MSP platform to profitably deliver Identity as a Service for all their customers. MSPs customers need Identity management now. Zerotek position MSPs to deliver this new high profit service today and immediately position them to benefit from the tidal wave of opportunity in the cloud. Zerotek meets all of the unique and demanding requirements of successful MSPs. It’s reliable and easy to use, facilitates automation and integration, and provides ongoing visibility and management in complex and demanding help desk environments. 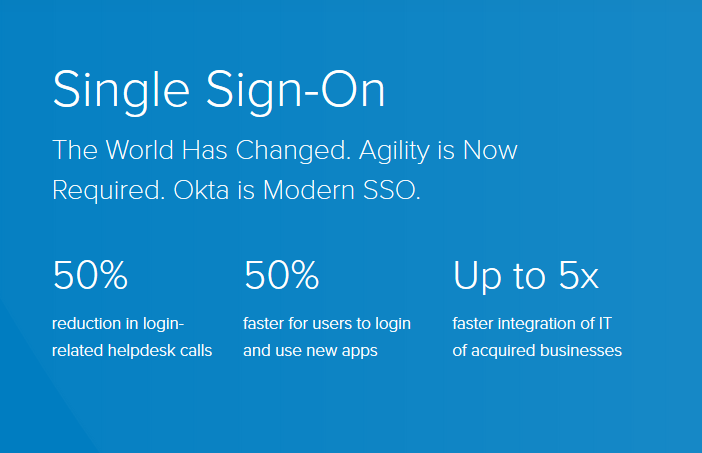 Okta delivers the world leading Identity Access Management solution. A branded application portal gives your customers a central view of all their applications. Simplify access by providing a single point of entry for cloud, on-orem and mobile applications. Simple, yet powerful security provides your customers peace of mind. Integrate with Active Directory and manage all of your users and customer assets from one place. Automate user onboarding and offboarding including groups. Integrate with over 5000 apps via the Okta library. Report on usage, identify security issues and resolve system configuration errors. Increase adoptions and reduce support calls, self-service lets your users manage themselves. Zerotek builds on Okta to deliver comprehensive Identity Management for MSPs. You can manage any Okta licenses including end customer owned BYOL licenses, orgs created and licensed through Zerotek, or any combination of these, all in a single management console.